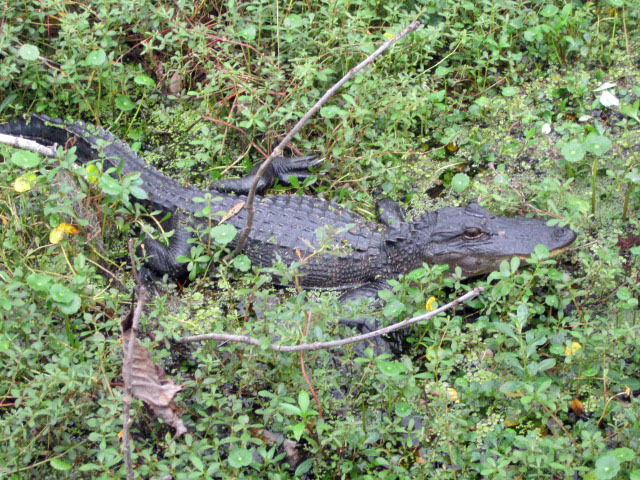 A juvenile gator watches us closely at Jean Lafitte National Historical Park and Preserve in Louisiana. I don’t blame you. There’s so much to see and do in New Orleans! We set aside one swamp day to take a small break from the Mardi Gras madness. Really pretty down in those parts. I hear Louisiana folks only eat the tail. Is that true? Yep, have you tried it? Had myself a gator po’ boy. Kinda tasted like chicken. LOL!! Now you’re just making me hungry! I thought so. My wife, not so much. Poor gator. Nobody ever throws him some beads.